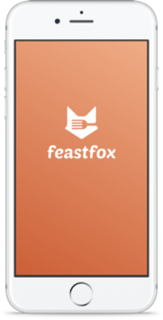 Feastfox, a spontaneous eating-out app, has launched in Cape Town, South Africa. Feastfox has been designed for those last minute, “let’s eat out” moments. The app includes a great lineup of top eating and drinking spots in Cape Town. Discover new spots on the slick map and image view and make your choice without the hassle of phoning around or waiting for booking confirmation. Making last minute reservations has never been easier. Feastfox launches in collaboration with over 60 of Cape Town’s top restaurants, bars and cafés including: Reuben’s, Kyoto Gardens Sushi, La Boheme, Nobu, Culture Club Cheese, Clarke’s, Hokey Poke, Scheckter's Raw and Shio. The launch area includes the CBD, V&A Waterfront, De Waterkant, Green Point, Sea Point, Gardens, Vredehoek & Tamboerskloof. Downloading the app is just as easy as using the app: Just one click!